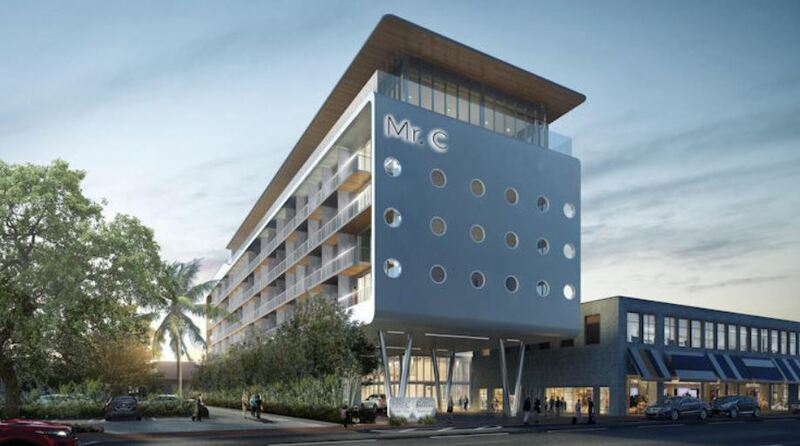 The highly anticipated Mr. C Coconut Grove, the first Mr. C Hotel to debut in Florida from the fourth-generation hospitality leaders, brothers Ignazio and Maggio Cipriani, have announced that the property is officially accepting guest reservations for its spring 2019 opening. Mr. C Coconut Grove is situated in the heart of one of Miami’s most notable neighborhoods and is set to provide guests with unmatched views of Biscayne Bay and the Coconut Grove skyline. From its interior, the hotel draws inspiration from Italy’s iconic coastal style and hints at the aesthetic elements of a classic yacht. Interior design includes high gloss timber paneling, leather-upholstered blue and caramel headboards, nautical style dressers, playful and comfortable sofas and armchairs in a range of soft and airy blue, and white and pink fabrics throughout the space. Acclaimed architecture and design firm, Arquitectonica, in conjunction with the Martin Brudnizki Design Studio, combined the stylish European glamour and nautical aesthetic Mr. C Hotels are best known for with the tropical surroundings of South Florida.